These special mast can be extended and retracted. Ranging from 10' foot to 50' foot, these mast will allow you to extend the mast up to its maximum length or anywhere in between. They are designed to endure the weather and are galvanized for the best protection. 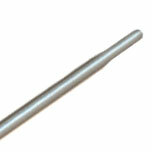 Also known as push up poles, they can be wall mounted, guyed, or hinged. They work great with smaller antenna like wifi, TV, HAM, weather stations and IoT sensors. Easy up & ROHN Telescopic mast poles are both well made and can be shipped out today. It is Important to choose a Mount and Mounting Location with a Picture of the Finished Installation in Mind. Be Sure to First select a location that lends itself to applying a Load without Compromising the Integrity of the Material you afix to. Most Decorative Finishes most often do not have the Strength to Hold a Weight or Pressure without fail. Further, Think about what's underneath the exterior. Is it stronger, will it yield to Pressure over time as well? 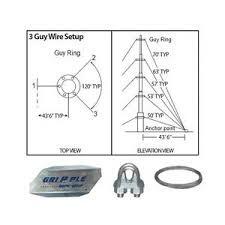 Weather Proof the Installation to Maintain the Integrity of your Home. Next consider the Location over a Lifetime of Adjustments, does it lend itself to modifications in Height or Direction? Larger Antennas increase the surface area presented to air movement, Hence, Wind-load does increase. As the length of the mast increases from Its last attached point on the structure, the torque applied also increases with Weight and Wind-Load, requiring a more substantive attachment and Load-Bearing material. Keep the Distance Minimal from the Antenna to the TV's and Equipment you feed, as to minimize loss and the need for Amplification.